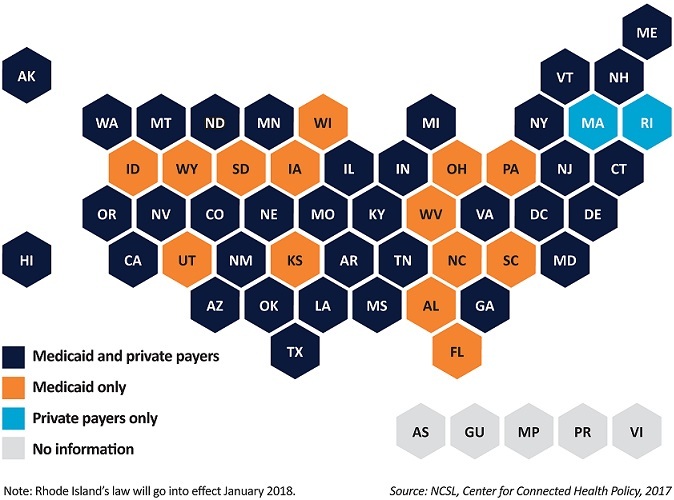 38 States + DC have laws requiring Private Insurance to reimburse for services provided by Telehealth. Florida passed a 2016 law setting the stage for Parity based on this assessment. Click here to see ATA's up-to-date matrix on recent/pending legislation by state. Outside of these states, it is up to the insurance company whether they reimburse for telemedicine or not. Some private insurance clients may choose to pay out-of-pocket for the convenience of seeing their Doctor from the comfort of home.